The Howlidays Wolf Child's Long Sleeve T Shirt features our loveable Niko Akni. His head is raised in song and he's donning a festive Santa hat. 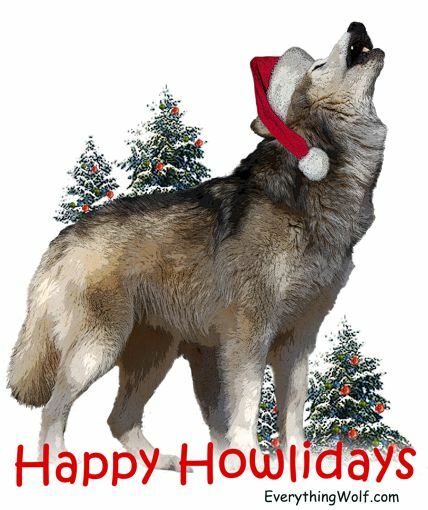 This would make a fun and very cute Holiday gift for a child who loves Wolves. This shirt is made of 6oz weight 100% cotton preshrunk jersey knit. Machine wash warm inside out and tumble dry medium. For a good fit, refer to our size chart.